A fortnight ago, this column had argued why the November 19 board meeting of the Reserve Bank of India (RBI), is likely to take place sans any big fireworks, and Urjit Patel would still continue to be the Governor. The happenings at the board meeting ultimately suggested so, where both the government and the central bank, in the presence of industry stalwarts such as Tata’s N Chandrasekaran and Sun Pharma’s Dilip Shanghvi, decided to go for more intense deliberations and a willingness to accept facts on either side. Although the deliberations look like a truce, at least for the time being, there are pertinent issues that are still to be discussed. Some of this will find a place in the next board meeting slated on December 14. While the board has not come up with a special window for non-banking financial companies, where liquidity has dried up, it also did not discuss the contentious aspect of the governance structure of the RBI. How powerful should the board be? Under what circumstances should Section 7 of the RBI Act, which allows the government to issue directions to the bank on matters of public interest, be used? Another point that is likely to be taken up is the composition of the Board for Financial Supervision (BFS). Fresh reports say that the finance ministry is of the view that the BFS needs to include government representatives. BFS was constituted to supervise the money market institutions, and is an autonomous body under RBI. The board is drawn from the members of the central board of the RBI, with the governor as chairman, and one of the deputy governors as full-time vice chairman. The board exercises the powers of inspection under the RBI Act, 1934 and the Banking Regulation Act, 1949. The BFS was initially given the mandate for supervision of commercial banks, financial institutions, and NBFCs. Later, urban cooperative banks and primary dealers were also brought under its purview. The composition of the BFS becomes important since it was decided in the November 19 meeting that the issue of easing the Prompt Corrective Action (PCA) framework of the 11 public sector banks, which will make them lend to sectors in need as compared to the imitations they face at present, will be examined by BFS. This can turn out to be a contentious issue, but the government and RBI are likely to work out a solution for this ahead of the December 14 board meeting. 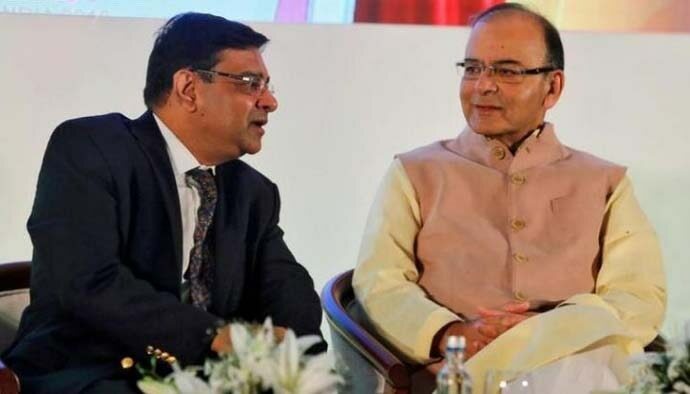 The other issue discussed before the 18-member board was the government’s demand for transfer of RBI’s reserves, estimated at Rs 3.6 lakh crore, to the former. For this, RBI will constitute an expert committee to examine its economic capital framework, the membership, and terms of reference of which will be jointly determined by the government and the central bank. The RBI board has also recommended a scheme to restructure stressed assets of MSMEs (Micro, Small and Medium Enterprises) with aggregate credit facilities of up to Rs 25 crore, but any sops to the MSMEs at this point is regarded a bit cautiously by most experts, due to the huge level of bad loans in this sector. RBI has also liberalised the implementation of the capital adequacy norms under the Basel regulatory framework. While the Capital to Risky Asset Ratio (CRAR) has been retained at 9 per cent, the board has extended the transition period for implementing the last tranche of 0.625 per cent under the Capital Conservation Buffer (CCB) to March 31, 2020. CRAR is the capital needed for a bank measured in terms of assets (mostly loans) disbursed by the banks. The higher the assets, the higher should be the capital needed by the bank. CCB is the additional capital that banks have to own beyond mandatory minimum capital requirements, and easing of the transition norms will come as a relief to banks.